@MikeMalvey Tremendous question, Mike, as it was something we were talking about last night as a family. Baltimore if you’re OK with the night game would be my top choice. Fun city to visit (DC in play too). 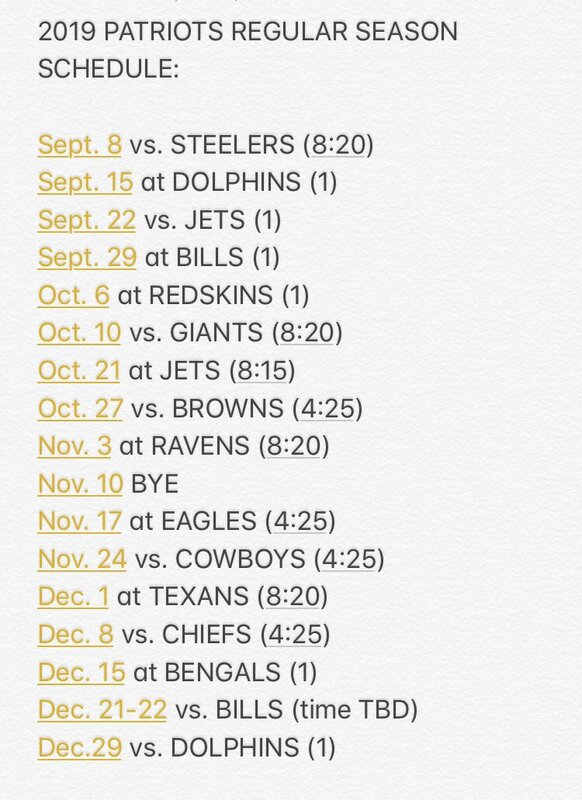 Philadelphia also a winner IMO (but tough right before Thanksgiving). @Tallguyme Hi TGM. I rank TE as the No. 2 need, so if they can’t fill it in the draft, that would be something I could see them exploring. They had interest the last time he was a free agent. Media note: CB Stephon Gilmore and RB Brandon Bolden are scheduled to answer questions from reporters today as the Patriots’ voluntary offseason program continues. @Yung_Newlove Hi Christian. No complaints here. What I view that as is the pointing out of a fact to hopefully add insight/knowledge that a follower might not have considered. Additional note on Browns-Patriots matchup at Gillette Stadium on Oct. 27: Cleveland will be coming off its bye week, while Patriots will be on a short week after Monday night road game vs. Jets. Julian Edelman explains his hat and why he is wearing it: To show support to Pittsburgh and the Jewish Community. Video: From coaches film (courtesy NFL), watch Vontaze Burfict (55) deliberately step on Blount's leg after TD. Question: Do you mind playing in severe cold? 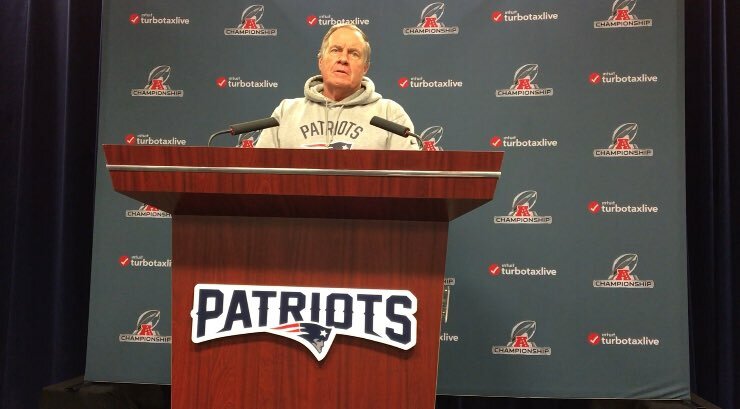 Adam Thielen (yelling in referee's direction, close to Bill Belichick, after Belichick threw challenge flag but had extra time ase Patrick Chung was injured): "That's bull---"
Bill Belichick (looking in Thielen's direction): "Shut the f--- up." 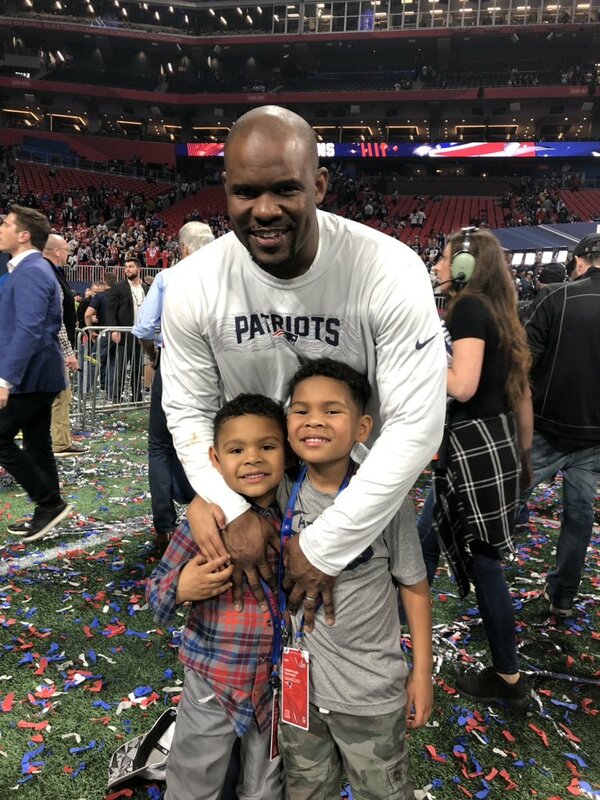 Brian Flores, who delivered a coaching defensive masterpiece in his final game with the Patriots, enjoys the moment with his kids.